Beautiful day. 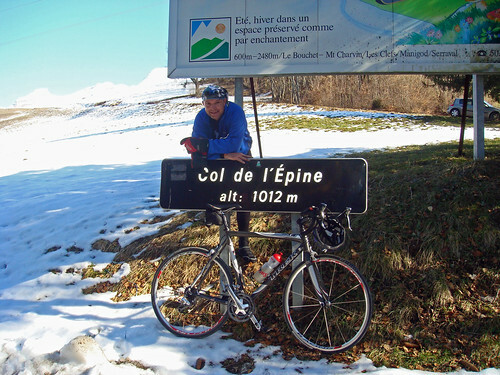 Martin and I did a big loop around Lake Annecy via Col de l'Epine, Col du Marais and Col de Bluffy. 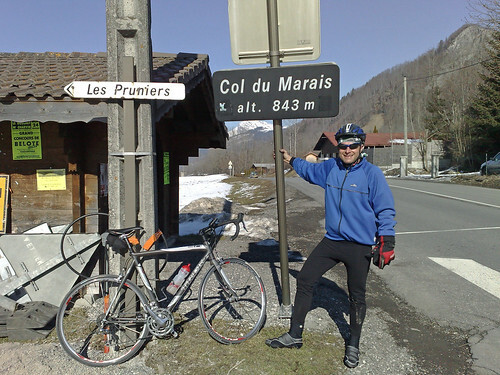 Martin and I did a big loop around Lake Annecy via Col de l’Epine, Col du Marais and Col de Bluffy. 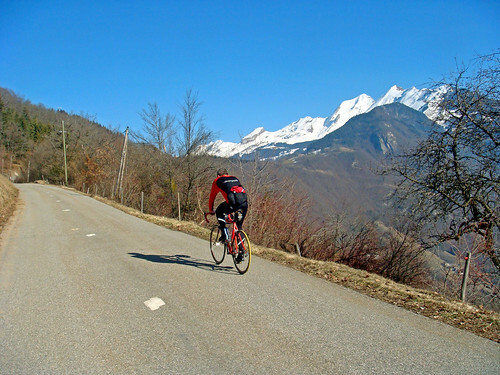 Most of the first half of this route is along the Annecy bike path until turning up Col de l’Epine at the half way point – a steepish, scenic 7 km climb with clear views of the valley below. 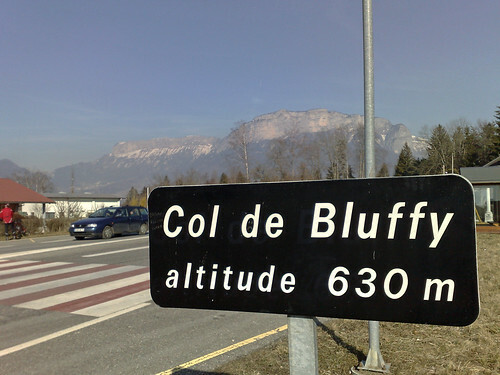 Once the route reaches Thones the rest of the way back to Annecy is on a busier road. Looks like another great ride. I rode around a lake this weekend… but it’s a far cry from your scenery. We were dealing with high winds…. fortunately I got back before they started gusting around 40mph. OH… check back on my blog… Dr. Chris answered your questions. Have a good day! remind me to only visit you (my friend) and my brother (also in Ottawa) in the summer. Don’t worry, my training plan is to peak at exactly your speed so we can climb in July together. 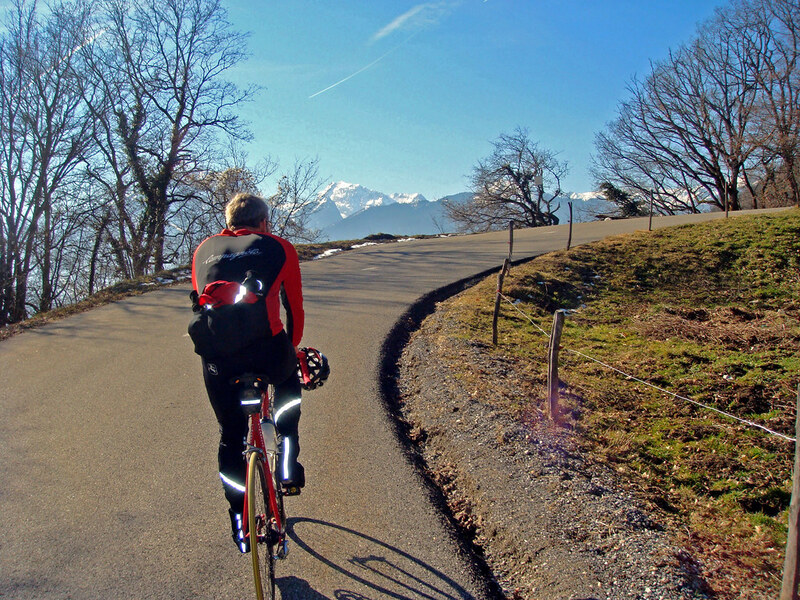 Yep, the news is broadcasting yesterday as one of the biggest ski days in history around here – but many roads mid altitude are clear and great rides.